Let ROMAG’s mechanical engineers do the work for your custom requirements. Our experience, engineering resources and manufacturing capabilities are extensive. Whether a customized version of a standard system is needed or a totally new concept applies, ROMAG can get the job done. We can add logos to most of our products. We can make the following modifications to existing in-stock products, which are available more quickly and at less expense than full custom product development (see below). Any of our standard style Magnetic Snaps can be customized with respect to size, strength, attachment method, or finish. Almost all of these products are interchangeable both as to female and male strength, dimension (i.e., 14mm female and 10mm male) and method of attachment to the material (for example, the male can have a stem and the female a rivet). This unusual degree of flexibility opens up a wide spectrum of applications. We can customize the size, shape or strength of our Hidden Magnets. A large variety of plastic housing sizes, shapes and colors can be supplied for our Sew-on Magnets. 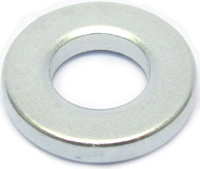 Neodymium Magnets of any size, strength or finish can be custom manufactured. ROMAG prides itself on designing custom, novel closures which include magnets. The magic of a magnetic closure enhances any product. After verifying your requirements, we use SolidWorks CAD software to generate and present 3D photo-real images in a digital file for your review. Upon receiving your approval, we use the digital file to create a plastic 3D model of the part onsite within hours, which – except for moving parts – is an accurate representation of the final item. 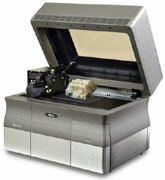 Finally, if required, we can use a 5-axis CNC milling machine to create an exact metal version of the final part. The production parts will match this exactly since we use the digital design file for all steps in the prototyping process as well as actual production.